Package thieves beware! Some homeowners aren’t putting up with it anymore, as one thief found out the hard way. When one woman noticed another taking a package from her front porch, she decided to take matters into her own hands. 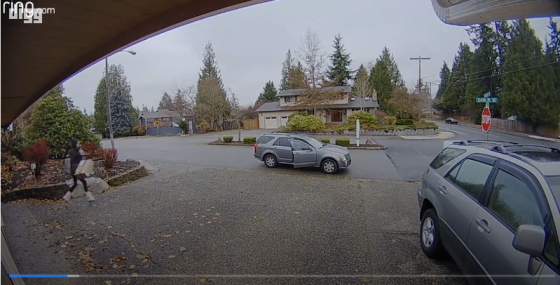 The would-be-thief can be seen stealing a box, but before she can get into the getaway car not so patiently awaiting her return, the homeowner runs out and takes care of business. The woman who was stolen from didn’t let the package thief off the hook. Although it appears as though her package made it into the getaway car, she was still able to teach a thief a lesson.